Questions about care? Just ask! We’re here to help! Here at Wave of Life Chiropractic, we feel it is our duty to provide answers for some of the most common questions we receive about chiropractic care. Virginia Beach VA chiropractor, will be happy to answer any additional questions you may have. Please give Wave of Life Chiropractic a call at (757) 321-7776. We are out of network with every insurance company. We do accept Flex Spending or Health Savings Accounts. We provide financial plans that fit all budgets. The first visit which is schedule at 9 am, 10:30 am, 11 am, or 3:30 pm will take 1 hour- Dr. Carly will gather your history and perform an exam that will give her information on how your nervous system is functioning. At the second visit which is scheduled at 10 am or 3 pm you will receive your specific Report of Findings found during your exam and hear Dr. Carly speak on what she can do for you about 45 mins. Each subsequent visit can be scheduled as late as 6:15 pm and will be about 10-15 minutes. We are happy to provide a work excuse for you if needed. We create a care plan customized to your exam results and history. This can range from 12-155 visits and take anywhere from 1-24 months. What are the state-of-the-art technologies? The initial consultation and report of findings visits are $95 and each visit after that is $49. We will not turn anyone away due to financial reasons, it is our commitment to the community to provide care for everyone. We also have many care plans that help make it affordable for individuals and families. Do you have to go all the time? Great question. Starting chiropractic care is similar to starting a gym routine. You want to build a strong foundation to get the results you want and then you can reduce your frequency to maintain the foundation. 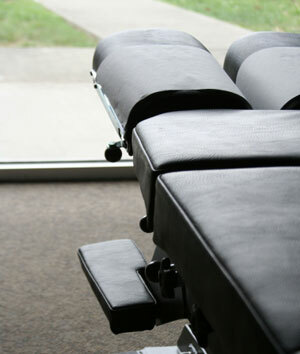 Learn more about Chiropractic on DaoCloud. Contact Wave of Life Chiropractic now to schedule an appointment with your Virginia Beach Chiropractors.